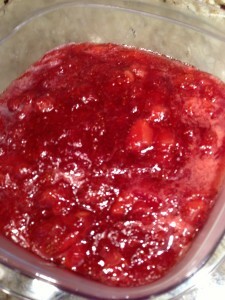 Homemade Strawberry Jam – Sweet, Red, and Berry-licious! 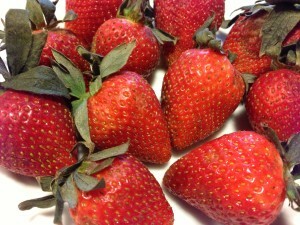 What to do with the abundance of strawberries at the end of the season? Or what to do with the not-so-stellar grocery store strawberries that can be mushy and tasteless? Make my sweet Homemade Strawberry Jam for a perfect taste of summer all-year-round! This super simple homemade strawberry jam will keep in the refrigerator for up to 2 weeks — if it lasts that long. 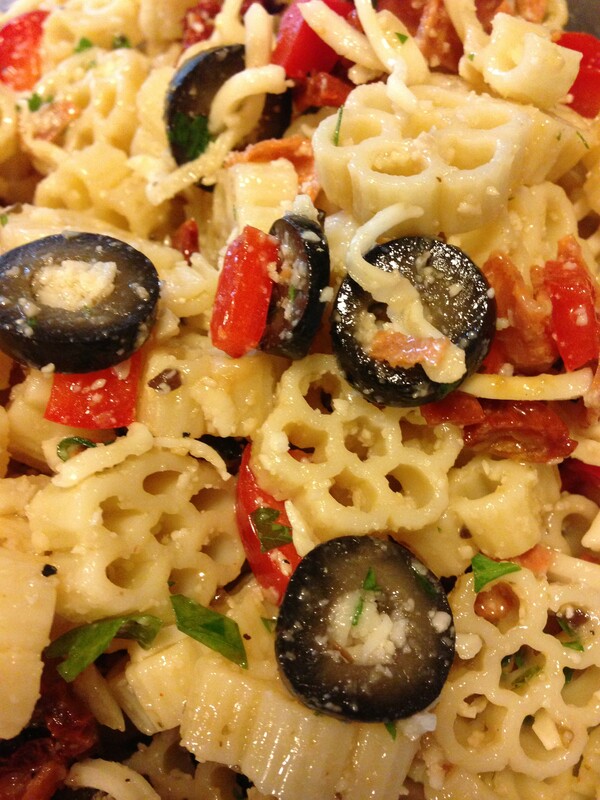 I usually buy organic berries and use organic sugar in this recipe. You can substitute agave syrup for some of the sugar, or cut back on the sugar depending on your preference. I have not yet tried to use honey as a sweetener in this jam, although you could experiment with it. Buy local berries when they are at their peak and you’ll be able to cut way back on the sugar in this recipe. 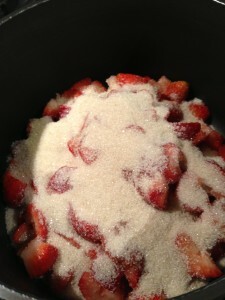 Making my homemade strawberry jam is another way to use strawberries that are just slightly past their prime. If the berries are soft and bruised, that’s just fine, throw them into the mix. Even the out-of-season grocery store berries will result in a tasty jam. 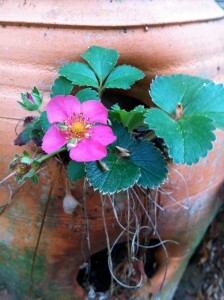 You can grow your own strawberries if you have enough sun in your garden. The plants usually overwinter and come back each year in my area. 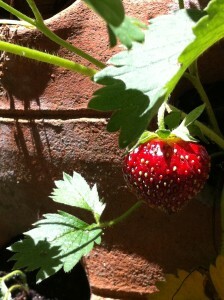 Unfortunately, my homegrown strawberries are usually eaten by squirrels before I get a chance to harvest them. Add some fresh herbs such as a mint or basil sprig from your garden to the jam as it’s cooking. Remember to remove the herb leaves before serving the jam. 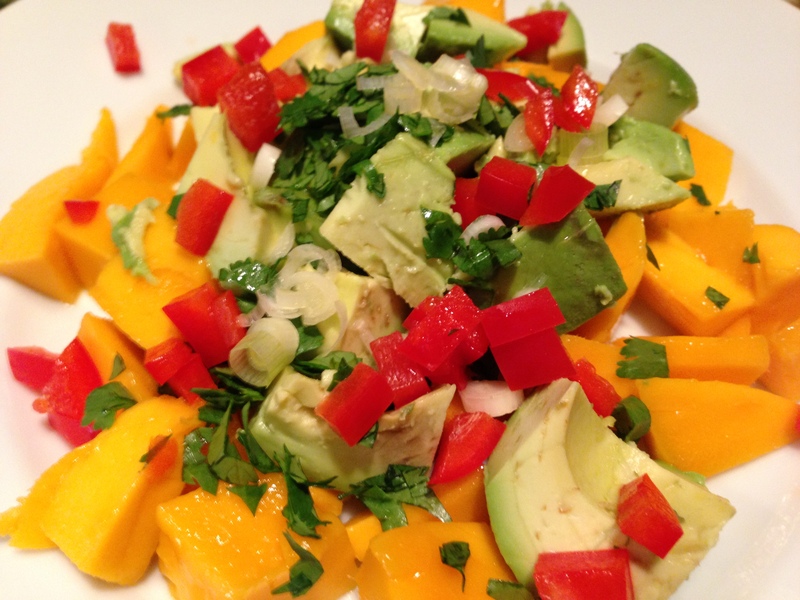 From the kitchen of A Food Lover’s Delight…. 1. 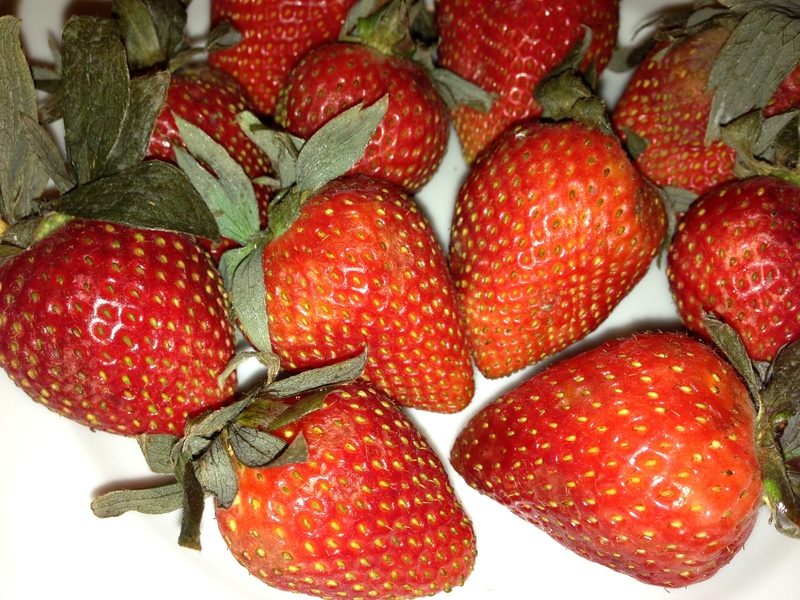 Wash strawberries and remove stems and hulls. Chop berries into pieces. 2. Combine berries, sugar, and lemon juice in a non-reactive pan. 3. 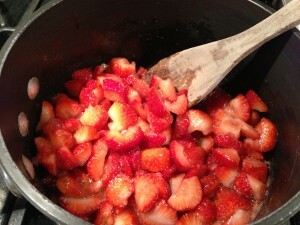 Stir constantly over medium heat until sugar has dissolved, a syrup is forming, and berries are becoming soft. 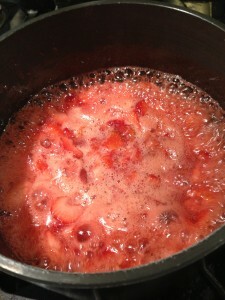 The quicker the berries cook and the faster the sugar dissolves, the redder the mixture will become. 4. Use a potato masher to slightly mash the berries leaving some chunks as they cook for a nice jam consistency, and continue to stir the mixture so it doesn’t burn. 5. 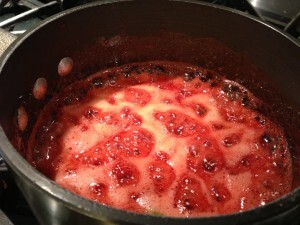 The jam usually takes around 8 – 10 minutes to start to thicken. 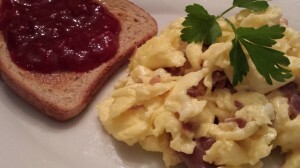 The jam is done when a small amount is dropped on a plate and the droplet stays congealed and doesn’t run. 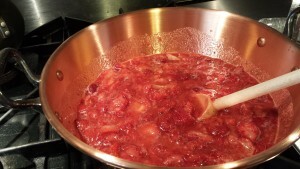 If you overcook, the sugar may caramelize and overthicken your jam. 6. Let the jam cool slightly and move to a non-metallic container with a tight cover. 7. Keep in refrigerator for up to 2 weeks. Makes about 2 cups of jam. Variations: Substitute agave syrup for some of the sugar. Cut back on the amount of sugar if your berries are very ripe and sweet, or if you prefer a tangy jam. Add some orange or lime zest for a citrusy flavor. 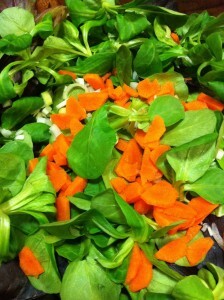 I like to add a few whole basil leaves or mint sprigs to the berries before cooking for a different flavor. Remember to remove the herbs before serving the jam. DISCLOSURE: Clicking on any ad or affiliate link which results in a sale may provide a small commission for hosting and upkeep of this site. Thank you. DISCLOSURE: Clicking on any ad which results in a sale may provide a small commission for hosting and upkeep of this site. Thank you.